Forbes magazine recently ran an article showcasing six handy mobile apps that were built using federal government open data. The apps range from the Alternative Fueling Station Locator to ZocDoc (a doctor locator). What I especially like about the Forbes article is that the author describes the federal government data sets behind each app. There are many more mobile apps built by federal government agencies or using federal government data sources. Along with mobile apps, there are responsive websites and progressive web apps. These information sources are optimized for mobile devices. The apps are responsive and easy-to-use but, they merely deliver information as any website does. What users are now demanding is a more personal experience when interacting with data. Enter the chatbot. Chatbots put a friendly face on the data sets and informational content of a website. 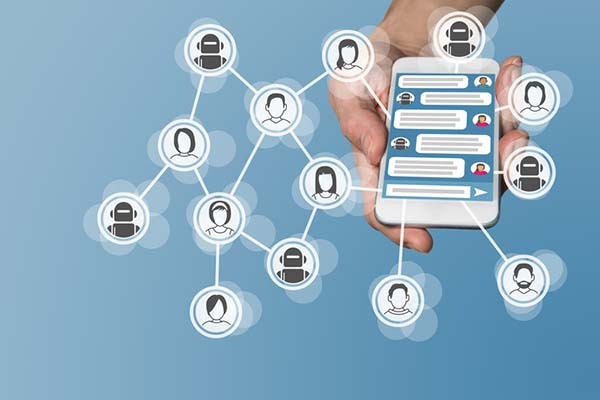 The number of chatbots has exploded in recent years as users prefer to interact conversationally rather than using an online search. Chatbots have personalities and can often sound like you are talking to a friend rather than a bunch of “if this, then” algorithms. The U.S. federal government is in the process of building chatbots, so expect to see more federal government chatbots being released in 2017 and 2018. So, how do agencies prepare their government datasets for chatbots? The key is to think conversationally. How will users ask about the data and what should the responses be? Follow the steps below to map how your agency’s datasets will be transformed into a conversation. What is the bot’s domain? Domain is a term of art and refers to the bot’s breadth of understanding and depth of understanding. Let’s say we want to transform the Alternative Fueling Station Locator into a chatbot. For breadth, what kind of alternative fuels will the bot know about? The different fueling techniques and for what type of vehicles. For depth, how much of a deep dive can the bot take into electrical vehicle recharging? Will the bot know the location of every electrical recharging station in the U.S.? The operating hours for each electrical recharging station? Establishing the domain will help in step two. Preset-conversation paths and free-flowing paths of conversation. Sometimes, the chatbot works better when the user is given a clear path to follow and options to choose from. Other times, the user wants to talk through their information request. Understanding when to use preset paths and when to allow users to freely explore the bot’s domain is essential to developing an effective chatbot. Map the conversation trees. A conversation tree is a map of the possible conversations including how the bot will respond to keywords. Conversation trees also include the inputs from datasets in response to the conversations. Many practitioners recommend using mind mapping to visualize the conversation trees. Map the keywords to the data queries. Create a dictionary of keywords and then list the datasets around the keywords. The idea is to determine how the keyword will shape the dataset query to receive the query results in the most effective manner for each keyword. By following the above steps, agencies are creating structured content built specifically for chatbots. Mobile apps, responsive websites, and progressive web apps still have a role to play. However, users are demanding more ways to access government data not embedded in a site. Users want on-demand information, like how chatbots deliver information. Agencies need to free the datasets to be useful in many ways that people want to access federal government data. (Forbes magazine is used for illustrative purposes only and does not imply endorsement by the federal government or any federal agencies.) Each week, The Data Briefing showcases the latest federal data news and trends. Visit this blog every week to learn how data is transforming government and improving government services for the American people. If you have ideas for a topic or have questions about government data, please contact me via email.